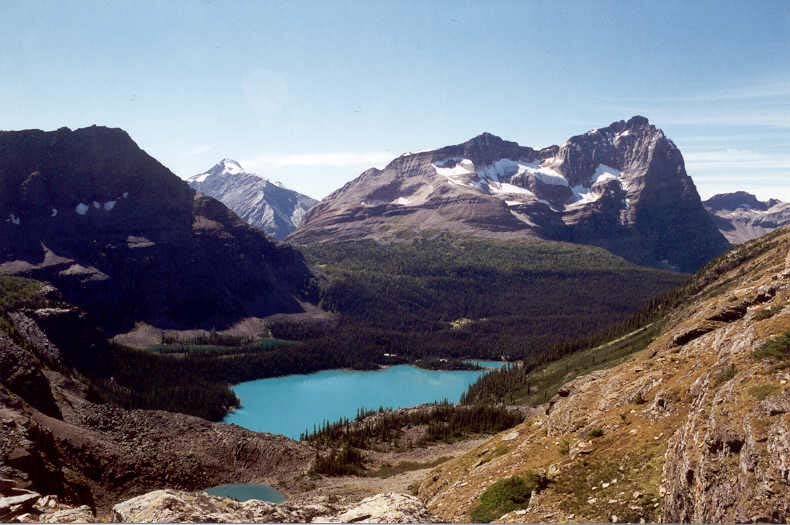 September 1996: Odaray Mountain, 3159 m, rises behind Lake O'Hara. Mount Schaffer, 2692 m, is to the left. McArthur Pass lies between Schaffer and Odaray. The small lake in the foreground is Yukness Lake.